Over the years, we have seen many football players shine in the National Football League (NFL). Though some critics may not admit this, it’s believed on several quarters within and beyond the football community that Derrick Henry stands a chance of accomplishing more in the league than top-notch running backs likes Ottis Anderson, Warrick Dunn, Larry Csonka, Ricky Watters, Bo Jackson, Priest Holmes, Corey Dillon, and many others. 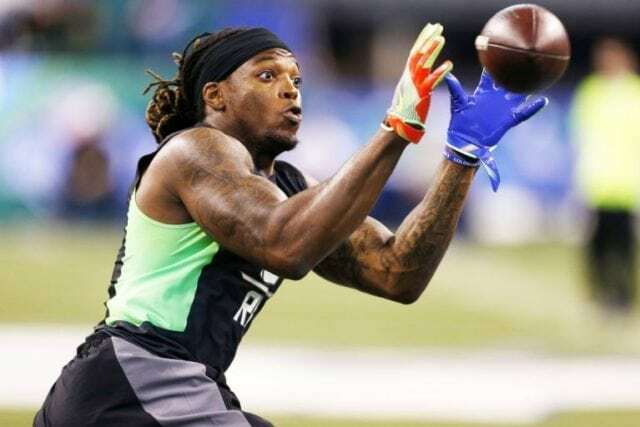 As a member of the Tennessee Titans football team, Henry has proved himself to be a great asset to the Titans both in performance and in conduct. The running back started playing with the Nashville-based team in 2016 after he was selected with the 45th pick in the 2nd round of the 2016 NFL Draft. Who Is Derrick Henry Of NFL? He is a talented football player who represents the Tennessee Titans in the NFL following his drafting in the year 2016. He was born in Yulee, Florida, on the 4th day of January 1994. 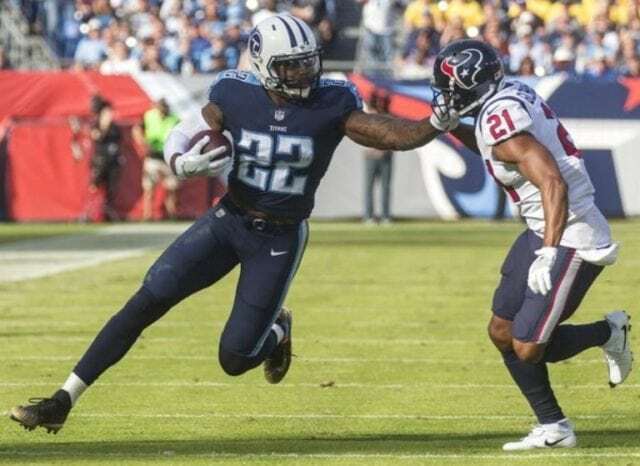 Born Derrick Lamar Henry Jr., the running back studied at Yulee High School where he excelled in three sports – track, basketball, and football. In football, he represented the Yulee Hornets football team, running for 2,465 yards and 26 touchdowns as a freshman. As a junior, the Florida Times-Union honored him as a first-team All-Coast for rushing for 2,610 yards and 34 scores. In his senior year, he completed the season with a state-record of 55 touchdowns and 4,261 yards. In track & field, Henry was one of Yulee’s notable sprinters, having competed for the school from 2010 to 2011. As a member of the 4×100 and 4×400 teams, the athlete participated at the 2011 FHSAA 2A District 3 Championships where he came seventh after posting a personal-best time of 11.11 seconds in the 100-meter dash. Derrick had his college career at the University of Alabama. He originally committed to the University of Georgia, but later decided to go with Alabama. His stint at the university began in 2013 and ended in 2015. The footballer graduated with a degree in communication from the university. The footballer is the son of Derrick Henry Sr. and Stacy Veal. Derrick’s grandfather, Benjamin Henry, died when he was six years old while his grandmother, Gladys Henry, played pivotal roles in raising him up just like she raised her 14 children. He also spent part of his life with his aunts – Latrease and Stacey, after which he moved in with J.T. Medley, who was his former middle school coach. 2. What Is His Net Worth? From his thriving career, the Yulee-born footballer has made quite a fortune and will continue to do so as he keeps making appearances for his team. On May 9, 2016, Henry signed a four-year contract worth $5.40 million with the Titans. The deal guaranteed $3.30 million and also came with a signing bonus of $2.13 million. 3. Is He Dating or Married? Henry is not married yet but he has been linked to a young woman called Adrianna Rivas. It is not known how long the two have been together. Some sources, however, established that she graduated from the University of Texas at Arlington with a PR degree in 2016. Derrick Henry’s years in the football league have quite been outstanding. In fact, it is very safe to say that his hard work and passion for the oval leather game have been rewarding, having won several titles and awards both as an individual and with his teammates. A look at the career timeline of the NFL running back shows he holds several records, some of which he attained when he was in high school while the rest came after he began playing football before a larger audience – many thanks to his superlative agility, speed, swift hands, power, and grit. As detailed on his official page, the footballer’s career highlights and awards include: Florida’s Mr. Football (2012), USA Today High School All-American (2012), SEC champion (2014, 2015), Walter Camp Award (2015), Doak Walker Award (2015), SEC Offensive Player of the Year (2015), Unanimous All-American (2015), Maxwell Award (2015), First-team All-SEC (2015), CFP national champion (2015), and Heisman Trophy (2015). The Tennessee Titans’ footballer has a comfortable height measured to be 6 feet 3 inches. His body weight, which is recorded to be 112 kilograms (247 lb) obviously complements his height and serves as an on-field advantage to his thriving career. Henry’s arm length is 33 in (0.84 m) and his hand size is 8 3⁄4 in (0.22 m).